“Wild Boars is finally going home!” — that was mu Space Corp CEO and founder James Yenbamroong’s reaction as he witnessed the final mission to rescue the remaining four teenage players of the football team Wild Boars and their coach who were trapped in Tham Luang cave in Chiang Rai, a province in the northern part of Thailand. 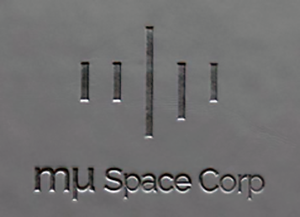 The CEO and founder of mu Space, James Yenbamroong. 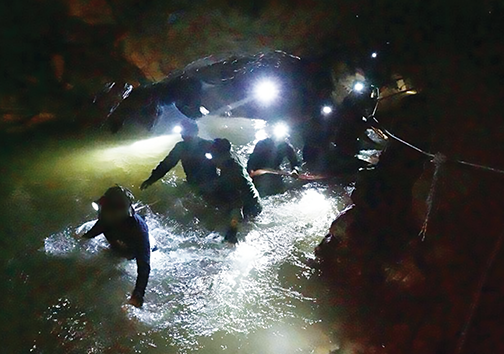 Photo of the Thai SEALs in action during the dangerous cave rescues of the Wild Boars football team and coach. 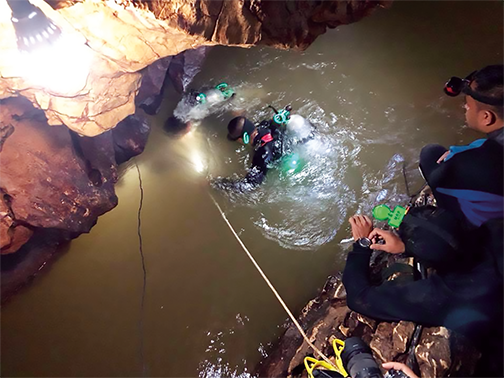 Last Saturday, Thailand-based satellite and space company mu Space had sent five of the firm's staff engineers to assist in the rescue mission of 12 football players, ages 11 to 16, and their 25-year-old coach who were stranded inside Tham Luang cave. On June 23, the football team had gone exploring in the cave after a practice game and were reported missing following a heavy downpour. They were found alive by search teams only after over a week of being stranded without food and clean water. News of the discovery sparked jubilation across Thailand, but that news was cut short by news that the football team couldn’t exit that location due to the cave being flooded. The final rescue mission on Tuesday brought an end to an 18-day long ordeal. Meanwhile, the eight boys rescued earlier on Sunday and Monday are being treated in a hospital in Chiang Rai. “Finally, they’re out of the cave and going home. We wish the 12 brave boys and their coach a speedy recovery,” concluded James.